This multi-year project by members of the Pacific Slope Consortium is an experimentation in collaboration. What happens when educators commit to some core beliefs about student learning and then support each other in the authoring of authentic projects and pursuits for BC K-12 Social Studies students grounded in creating (Tinker), critical thinking (Thinker), exploration of self through narrative (Storyteller), and embedding Place in Education (PIE)? We have centred our collaborative model around beliefs about our students and how we can impact BC classrooms, contribute to the long-term improvement of teacher practice, and ensure the inclusion and success of all students in BC. In the early 2010s, it became apparent to teachers in BC that the tectonic plates of curriculum were about to shift, and that the future educational landscape would look different than it had in the past. For Social Studies teachers, the changes that have occurred since have been met with excitement, doubt, frustration, relief, or indifference, depending on one's point of view. What was clear was that the competency-based BC Education Plan would be a framework, not a complete plan, and that exemplars would have to come from teachers themselves, as would the self-organization required to work together. We needed concrete examples of competency-referenced student learning activities and values-based pedagogy to provide the lead for teachers who were looking for more certainty in the curriculum implementation process. We also needed high-functioning collaborative structures that would create some energy for Social Studies teachers and students in BC. So, when the plates started shifting, we got busy. ​​Tinker: All students can think and act critically and creatively; participating in embodied learning and using hands-on sources and artifacts provides multiple access points for students to do so, and suggests the way for broader community connections and applications of learning. Thinker: All students are capable of using the six historical and geographic thinking concepts to make sense of their worlds and express their understanding; when done together this forms the basis of learning communities rooted in thinking. Storyteller: All students have powerful stories to tell; this is developed through techniques such as heritage inquiry, and helps bring the First Peoples Principles of Learning from the abstract to the day-to-day. PIE: All learning is influenced strongly by context and deep connections to place, and is made more authentic when teachers and students work intentionally and experientially with notions of Place in Education. The Plot to bring TTSP into our classrooms, and yours. Our Pacific Slope Consortium members have contributed to the TTSP project by identifying and practicing pedagogical beliefs that circle around the ideas of tinkering, thinking, storytelling, and place in education. This project has been focused on BC K-12 Social Studies contexts, leaning mostly into the secondary years but with some dynamic options for the earlier years. Our team, alongside everything else they do for students, have contributed to the TTSP project by creating manipulative sets, publishing a book of critical thinking case studies, conducting heritage-based storytelling cycles with students, examining place through songwriting and simulations, and coordinating experiential symposiums on the topic of place in education. Their impact on students of their guiding focus has been recognized by local innovation grants, provincial and national awards, and a demand amongst teacher professional development circles and teacher education programs. 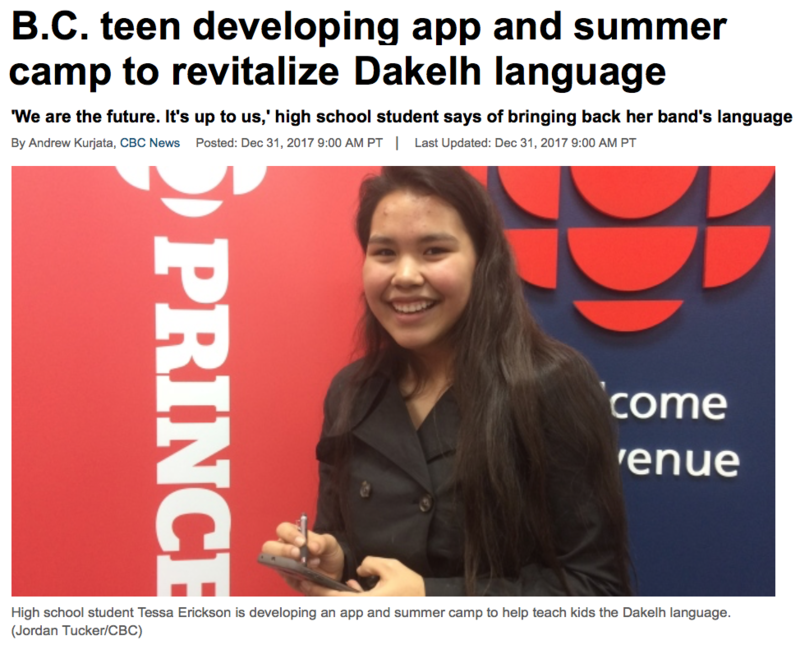 ​The work of the Consortium is a response to the competency-driven redesigned BC curriculum and the First Peoples Principles of Learning -- both our collaborative model and the students projects we design are responsive to connected communities and the people, places, stories, and identities within. We've taken a long and slow view -- intergenerational, relational, and experiential, and feel that this work has had as much influence on teachers and pedagogy as it has had benefit for students. This is both an experiment in cathedral thinking and the application of ecosystem theory in eduction. 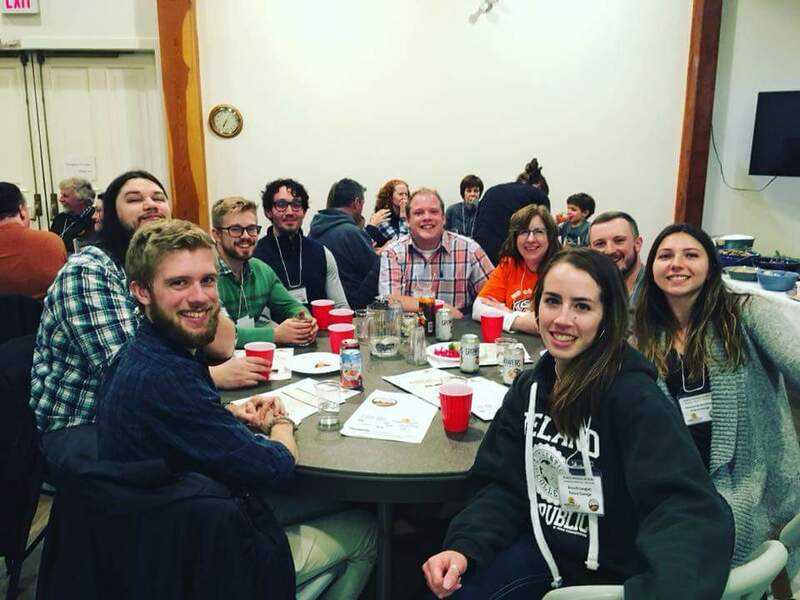 The Pacific Slope Consortium was originally an 2010 experiment in community solidarity -- what could we do together, with students, with parents, to influence local educational planning, programs, and policy? What could we do to engage our students' identity in their learning and reclaim the K-12 gradient for joy and curiosity? This slowly became a think-tank for student-centred curricular projects, mainly in Social Studies. Through Glen's leadership and our team vision and effort, we have provided ideas, professional learning, and curriculum support for teachers across the province. 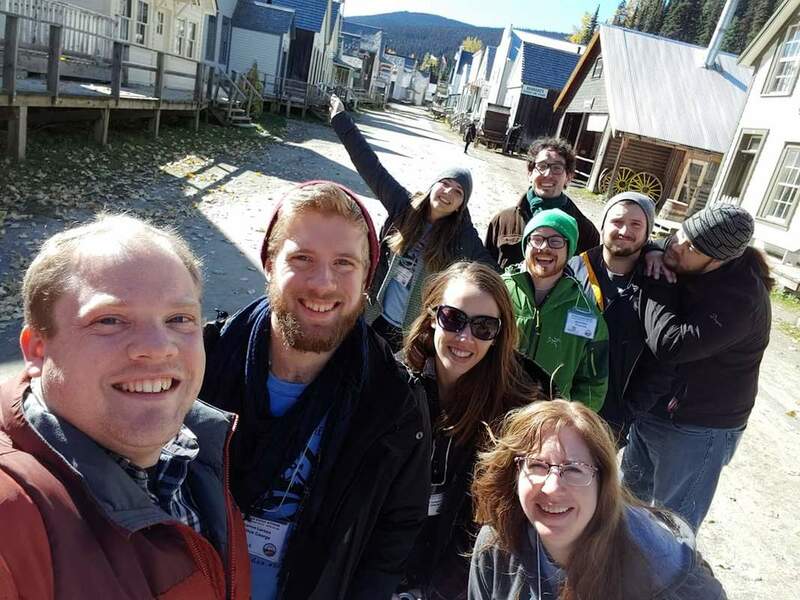 Although each of teach outside of Social Studies -- Glen at UNBC, Trina in elementary music, Joe in Learning Assistance, Ian in Outdoor Ed, Rob in a Sports School, and JP in Alternate Ed -- there are a few things that bind us together. We are all practitioners of TTSP, that is, we are always looking for ways that our students can create, move, think, connect with place, and tell their stories. And we all collaborate and support each other in this work -- this is why the Consortium exists. Our collaboration takes the form of monthly meetings (over meals), weekend conferences once or twice a year at nearby lakeside retreat (We call these Mumbleypegs), regular visits to each others' classrooms, and the usual sit-downs on professional development days, plus ongoing digital communication. Our meetings are about sharing our work with each and cooking up new ideas, supportive and critical dialogue among friends. We use a modified "critical friends" approach, and usually come away from every meeting with a revision or addition to our collection of student projects and learning activities that activate one for our four beliefs. From this collaborative hearth we have created role-play simulations, sets of classroom manipulative, developed thinking classroom initiatives, written a sourcebook for students, expanded heritage inquiry programs, engaged in place-based songwriting, and staged biennial symposiums focused on place-responsive and experiential learning. This sense of authorship provides its own energy for ourselves, our students, and the educators we work with at home and abroad. After viewing and discussing the classic NFB Documentary "People of the Seal,", the students try their hand at some of the games and activities practiced by the Netsilik Inuit in the film. Surprisingly, a recurring favourite is the Seal Hunt, where volunteers stand at an "ice hole" and wait for a seal to emerge - a recreation of a sceen from the documentary. It is a test of patience, not much to do but stand and wait. The rules are simple: keep eyes on target, don't move, don't speak. The current record for Ian Leitch's classes is 3 hours 15 minutes. This was adapted from a similar game that was featured in a now-forgotten 1980s textbook. Students are given role cards of characters from the 1820s in Upper Canada who are attempting to settle on newly granted land concessions. They negotiate for their building, sustenance, and social/religious needs, map and document their experience, and produce letters back home describing their journey and pioneer experience. It always amazes us that with little direction, students will dive into the role-paly and carry this on over multiple classes. It also produces rich discussion and writing about settler culture and issues in colonialism. 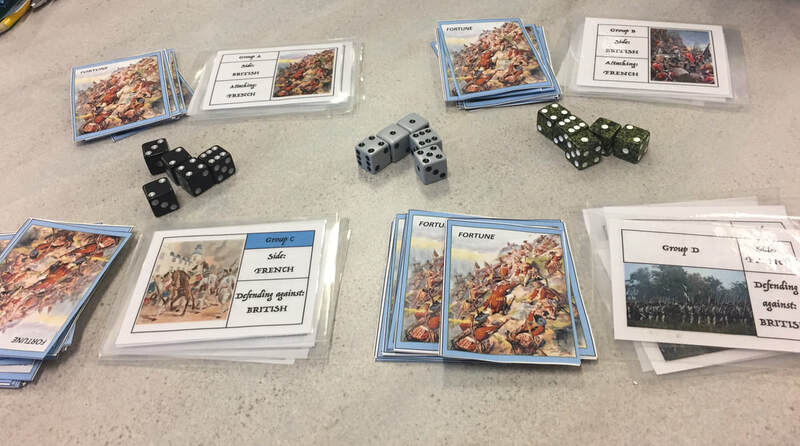 This activity starts off as a role card game where students take characters and military equipment based on historical events surrounding the Battle of Quebec in 1759. Their resources are then deployed in a Risk-like dice-based board game. Who will prevail? Britain or France? Glen co-designed this project with students from his Social Studies class. 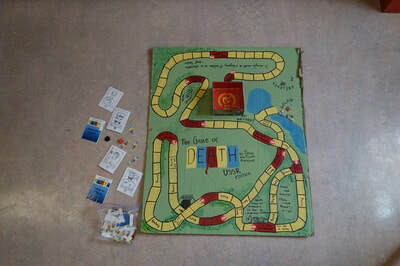 It was their idea to transition from the card-based role-play (seen on the left) to the map-based board game (seen being played on the right). Photo/video Glen Thielmann. 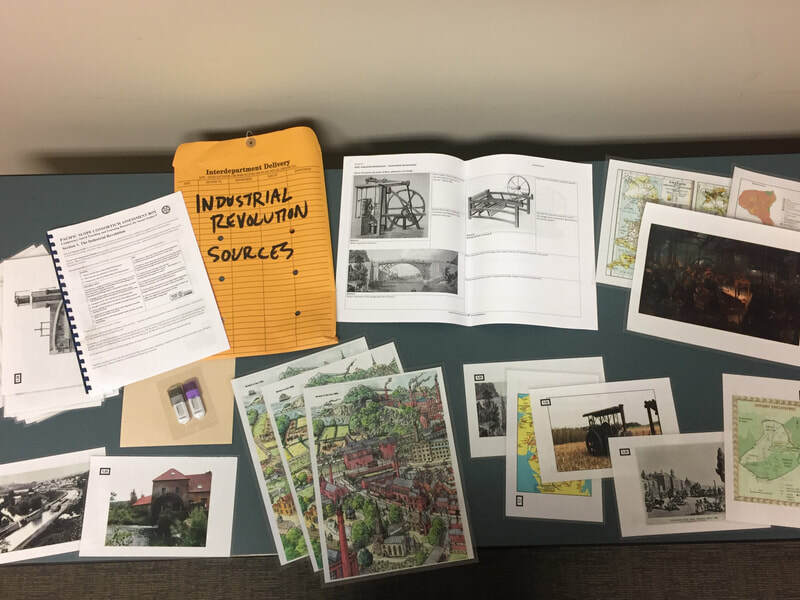 Over the last four years the TTSP team has been creating kits of primary and secondary sources and objects to be used as "manipulative sets" in the Humanities. Manipulatives are common and effective in Mathematics (e.g. Cuisenaire Rods), and collections of sources are readily available online or from suppliers like TC2 -- but what could we use for hands-on constructivist learning and meaningful assessment?. 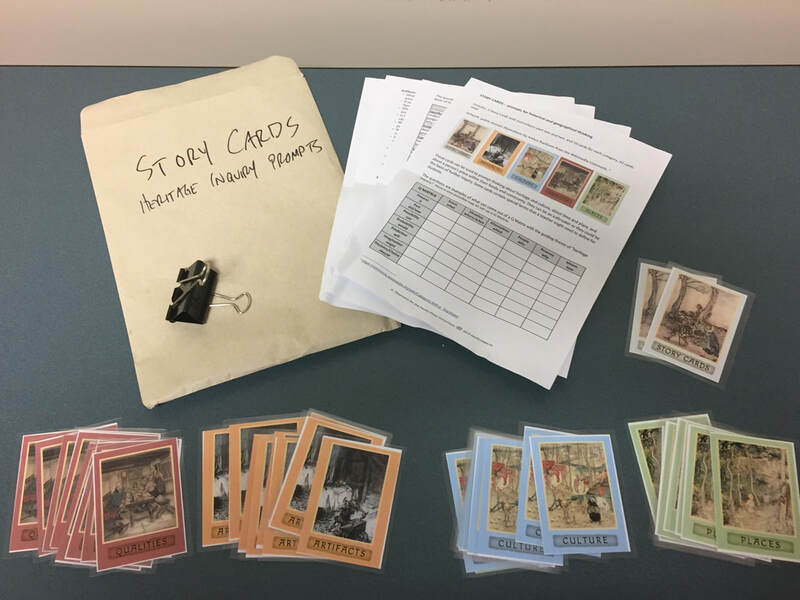 We set out to design resources that students could use to break down problems related to people, places, and events in order to make their own decisions and judgments about how others have arrived at historical and geographic accounts. The kits come with teacher guides and suggested activities -- there are many ways to use manipulatives. The most common use is to use the sources to work through the historical and geographic thinking concepts known as the "competencies" in the redesigned Social Studies curriculum. We are also starting to use these sources, and the problems they suggest, with Building Thinking Classroom strategies as researched and developed by Peter Liljedahl. 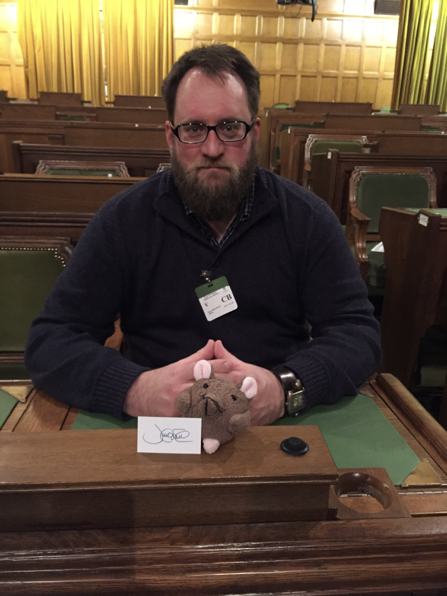 During our UNBC class on Curriculum and Instruction in the Humanities with Glen Thielmann, I was challenged to create manipulative assignments that would both engage and inspire students in my class. 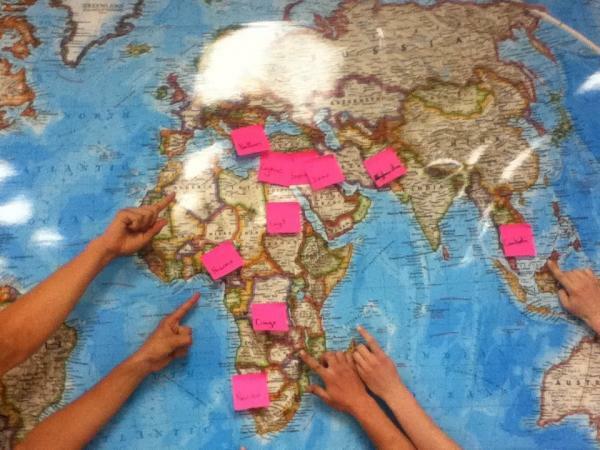 Throughout the process, I had to keep the learners in my classroom thinking critically about historical and geographic themes. 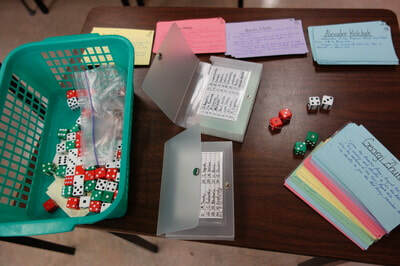 Each manipulatives assignment was based upon a wide variety of topics, ranging from ancient pottery techniques to the Battle of the Atlantic. The reception to these tasks was always positive, as students enjoyed working with their hands, being able to step beyond the traditional roles of the classroom into tasks that they found more kinaesthetically rewarding. The ability to create such assignments is of the utmost importance to the teaching profession, as it gives teachers the opportunity to spread more joy to the students that are sharing their space. The joy in learning that I witnessed with my students was thrilling, as it allowed me to enjoy a classroom full of engaged and happy students who were actively thinking about the Social Studies curriculum in a new way. Additionally, the ideas that we as a class explored on the topic of group-based activities for students that involved movement throughout a space were a serious benefit to the teacher candidates. 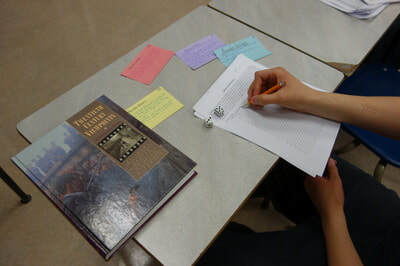 Once more, when applied to the classroom setting, students loved getting out of their seats and having the ability to think about historical ideas in a different and more tangible way. 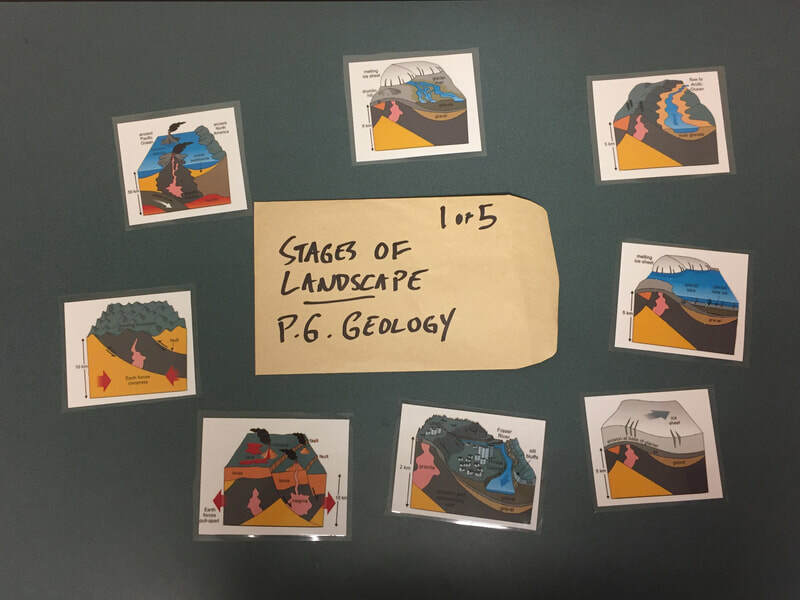 Over the coming practicum, I would be thrilled to welcome Glen and anyone else from the Pacific Slope group into my classroom to further explore these ideas and try to create an advanced hands-on historically-minded pedagogy for the New BC Curriculum. ​Trina's latest use of manipulatives is a box of Metis-themed puppets and props that she and her students are using to share stories and explore topics that require one level of removal. 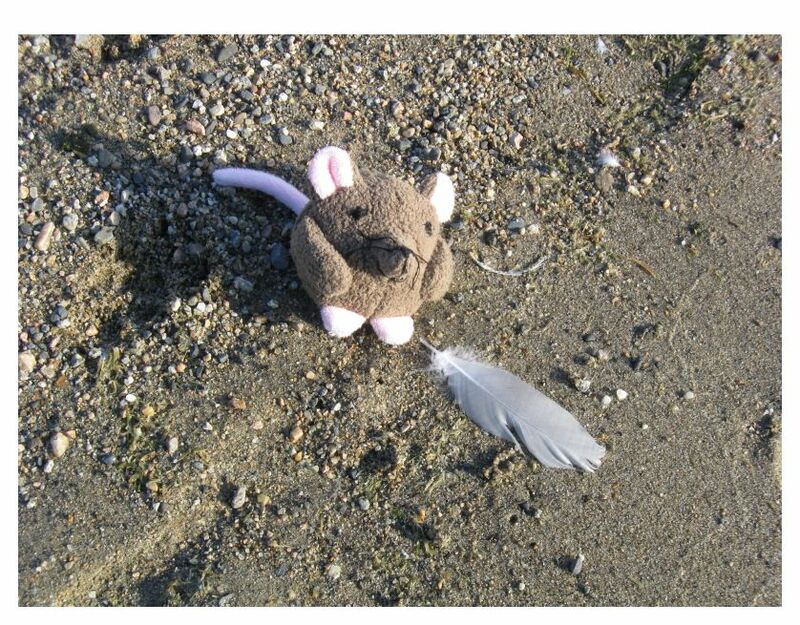 Building on the "Moe the Mouse Activity" (see below), Glen and Trina collaborated on a year-long project to see what Kindergarteners could learn about historical thinking. 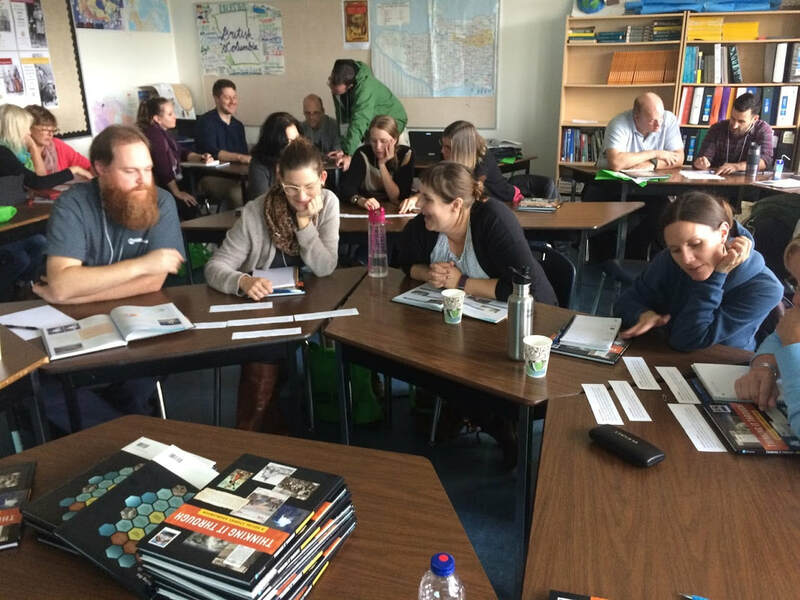 The new competencies in BC K-12 Social Studies embeds historical thinking concepts into each grade, but for many primary and intermediate teachers and their students, the terms and ideas behind them are abstract, impractical, and intimidating. How could we fix that? Kindergarten students were given basic problems to solve, used photo documentation to gather evidence about the problems, and then worked with the teacher to present their findings to the class. What are the different kinds of families you know about? What's the difference between the past, present, and future. Do I talk to my grandmother the same way she talked to her grandmother? Are there things in my house that are more special than others, and why might that be? The problems were based on individual student contexts, and culminated with a teacher-annotated and student-led smartboard presentation for the fellow Kinders. 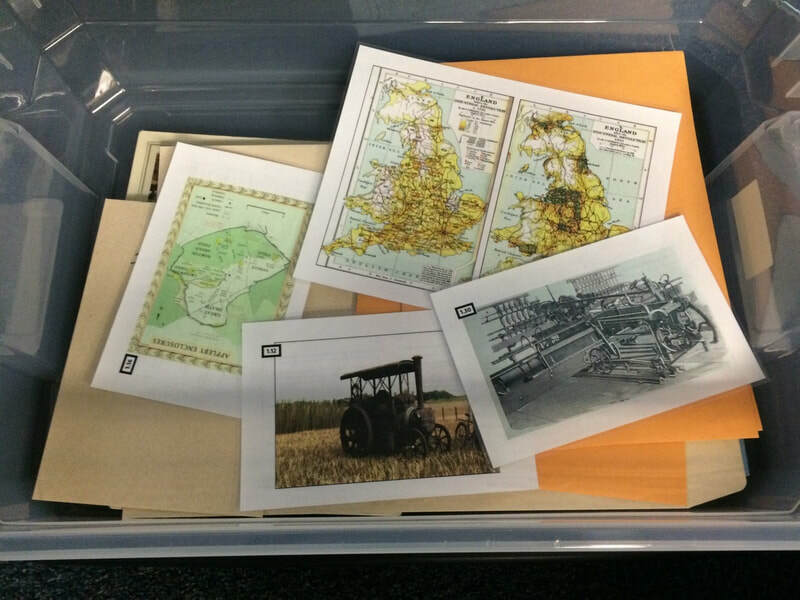 This card set is a series of heritage inquiry prompts that teachers are using to start students thinking about how they hold stories and have access to things and ideas that are connected to important events and themes in history and to places and landscapes they have never seen. 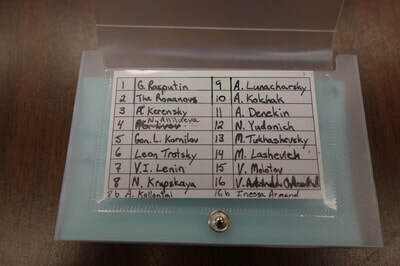 We created the cards as a quick way to introduce historical thinking to intermediate students (Gr. 4-7) but we're finding that all teachers K-12 are putting them to use. The cards are arranged in four themes: Culture, Artifacts, Qualities, and Places, and can be used in a variety of group and individual contexts. 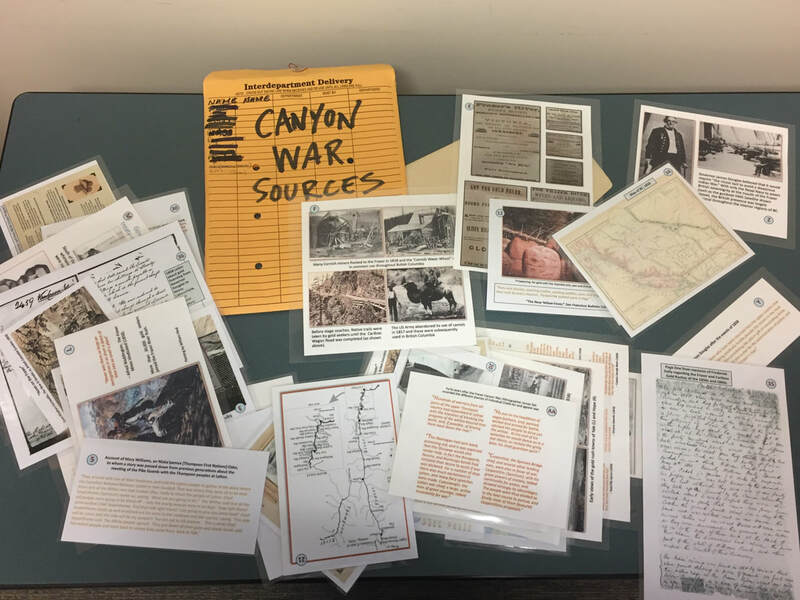 Conducting research projects with student, whether these are inquiry cycles, topical research, essays, annotated bibliographies, or project-based-learning, is often a go-to for Social Studies teachers, but also a source of frustration. Students get lost in the Google, and often resort to simply moving around pieces they don't really understand until it looks like a project. 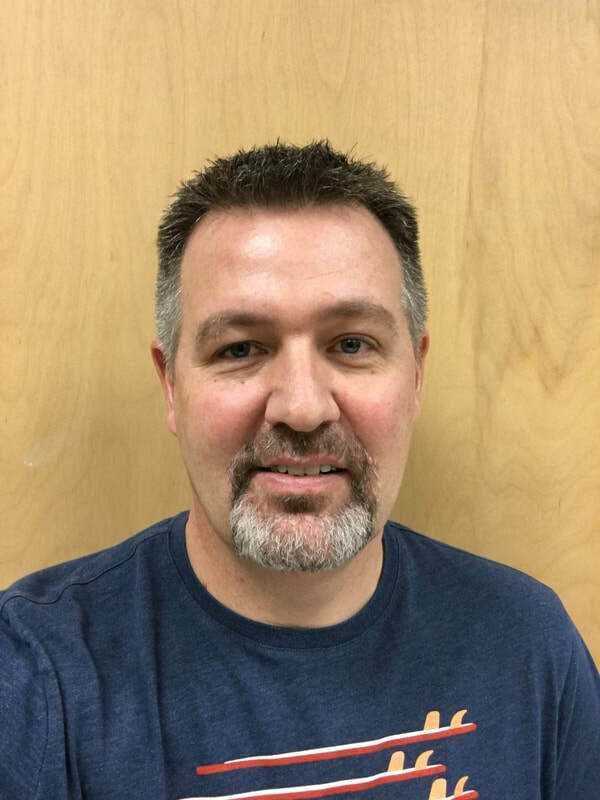 We set out to develop guidelines, templates, and research tips -- for the most part archived on a Skills Page as part of a 2018 School District 57 Learning and Innovation Grant by TTSP members and led by Rob Lewis and JP Martin. Those of our students that go on to post-secondary soon realize that these skills are used in almost everything they do. The image on the left shows how one student used the research templates to explore an inquiry questions for a Philosophy unit in the Social Studies 11 Explorations pilot course. Her comment was "I didn't realize how much actual work it is to do research!" Seminar for teachers for how to use the Sourcebook and work with competencies at the B.C. Social Studies Teachers' Association Fall Conference in 2017. This was another project born from collaboration among TTSP members. What would a learning resource look like that matched the way we teach? This was the "untextbook" that we wish we had for use in our classrooms, so we set about to create it, and Pearson Education Canada picked it to publish it, and now it is being used throughout BC in Social Studies 9 classrooms. Based on sales, we estimate it is being used in about 1 in 7 schools. ​​The two pages shown below give an indication of how our process works. 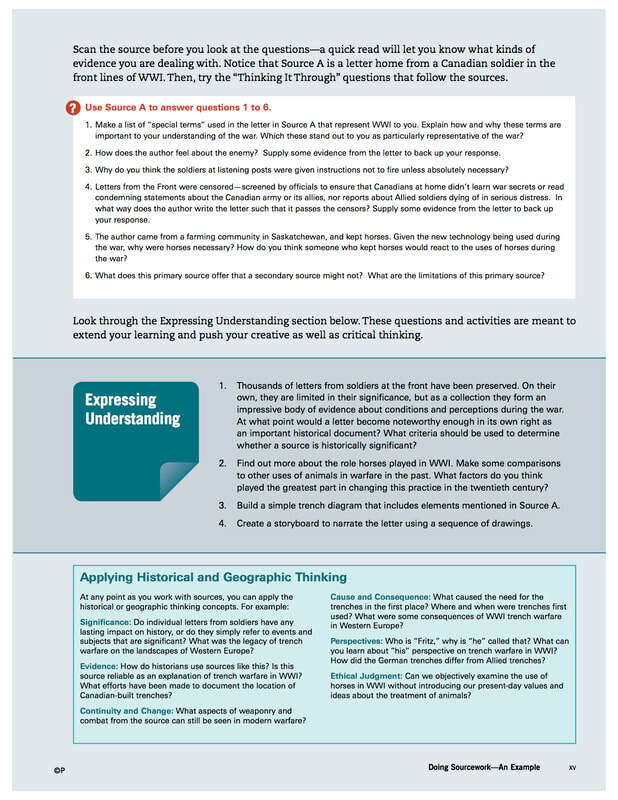 The idea was simple: use compelling primary and secondary sources, provide spectrum of "competency-based" critical thinking questions that were a good fit for the new Social Studies 9 curriculum (and students! ), and leave the rest (the narrative, the lesson, the discussions) to the teacher. Each of the TTSP Team has conducted Heritage Inquiry with students, a method of asking questions about culture and ancestors that produces meaningful inquiry, from short class activities to full-blown project-based-learning cycles. 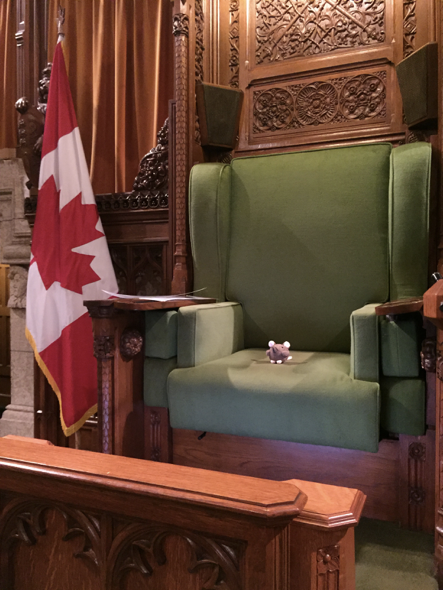 At the kindergarten end, Trina used "Moe the Mouse" as a class ambassador to learn about students' families. 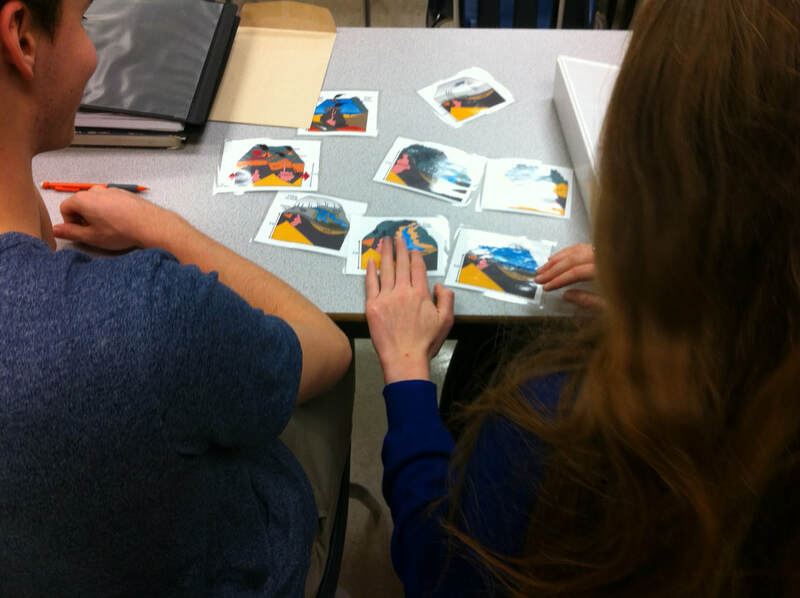 At the other end, the rest have used "Skookum Stories" (Social Studies 9/10), "Echo Projects" (Social Studies 10/11), and "Geonarratives" (Geography 12) with students to connect identity, culture, heritage, and place. 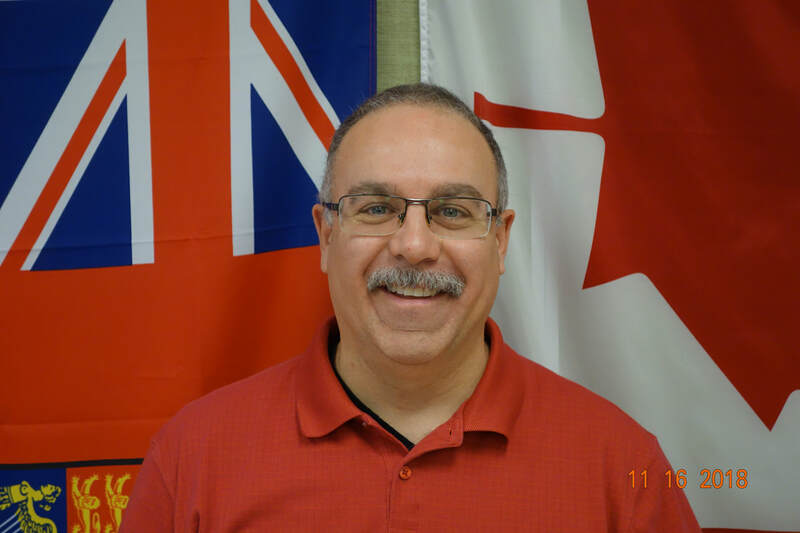 For his work in developing these last three projects, Glen has received 4 distinct recognitions: a 2015 Gov't of Canada History Award, a 2017 Governor General History Award for Excellence in Teaching, a 2018 J. Alistair McVey Excellence in Geography Instruction Award, and a BC Retired Teachers' Association Golden Star Award for connecting seniors and students. Ian, Joe, Rob, and JP have each done variants on Heritage Inquiry, and the stories generated by students in this way enter into the classroom narrative for future students in their spaces. 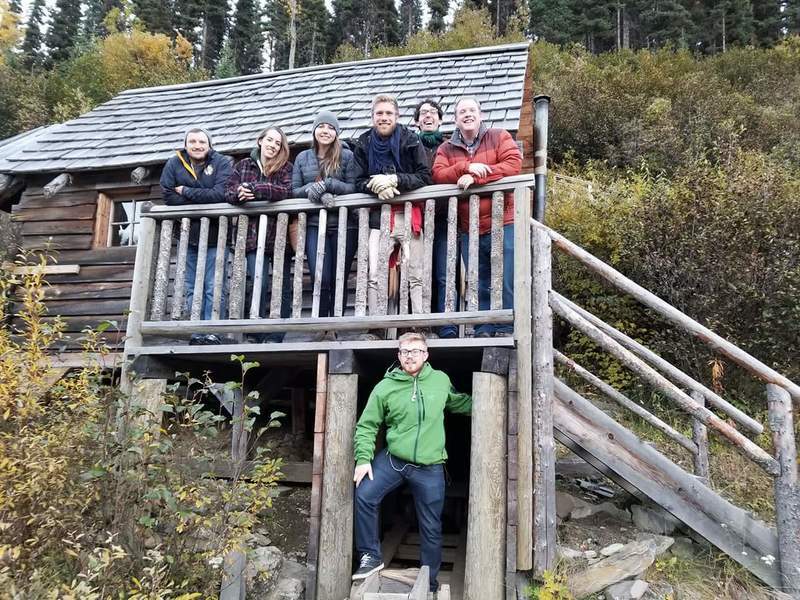 The use of cultural and geographic inquiry has led to an extensive Heritage Inquiry program in our school district and iterations around the province. The concept is familiar to anyone who has had students participate in Heritage Fairs. 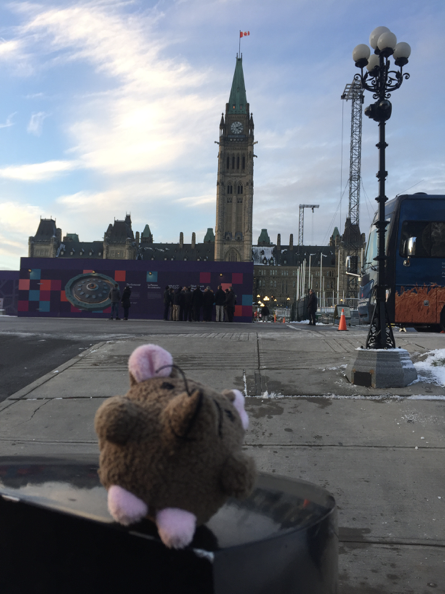 ​Moe is a Nuu-chal-nulth mouse from Vancouver Island, a registered trademark of the BC Aboriginal Child Care Society, and used as an early childhood sound and language development tool. I was trained to use Moe by Margaret Chesterman (Speech Language Pathologist) in 2010. This training was arranged by Sandra Huggett, a gifted teacher and Early Learning Coordinator in our school district. Kindergarten students take Moe home and return with pictures and stories about their weekend visits. Each student presents for the class, usually about 2 or 3 student presentations a month, in front of the smartboard, while the student talks about their visit, I activate language concepts (often print awareness). This allows nimble responsiveness. This past year I'd hoped to delve a little deeper... I often think about the development of identity as being central to all school curriculum. In fact, I believe this so strongly sometimes that I regard Identity as the central curriculum. It's my named bias. Glen might describe the role of identity differently but we have this value in common. I was inspired by Glen's work with his high school student heritage projects. 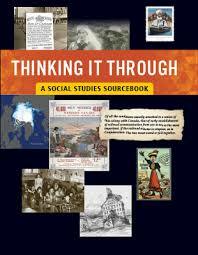 I was interested to explore the new Social Studies curriculum and keen to know more about historical thinking. I thought about Moe and imagined more... I thought, given simple concrete scaffolding, is it possible to enact new Social Studies competencies through historical thinking with our youngest learners? Moe grew from an adventuring story-teller to a historian! I participated in a year-long historical inquiry project inspired by the new Social Studies curriculum. Guided by Moe the Mouse and High School history teacher Glen Thielmann, students developed the foundational concepts to “think like a historian.” The three basic historical thinking concepts we focused on were: establishing historical significance, considering primary source evidence, and identifying continuity and change. 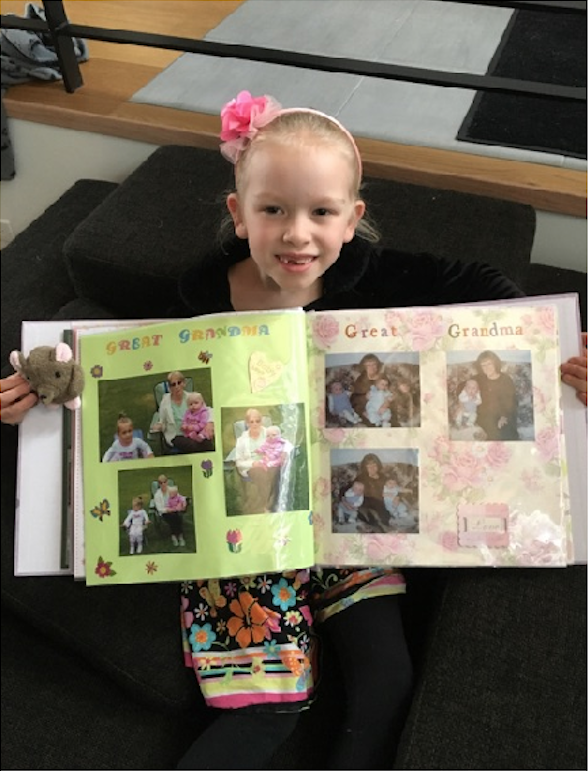 Starting us out, a student shared her historical family findings with the class, and as a class, we learned that our stories and traditions reflect who we are and where we come from. Also, that our relatives are participants of history, if we think, talk, and ask questions about them. I am grateful to all the families who took the time to share and communicate about your artifacts/heirlooms; the extra notes and details they provided enabled us to delve deeply and meaningfully into shaping the foundation of historical inquiry in young learners. “Skookum” comes from the Chinook Jargon - a trade language that developed in BC and the West Coast during the 1800s. It means “big” or “strong” and has crossed over to become a word in the English language. 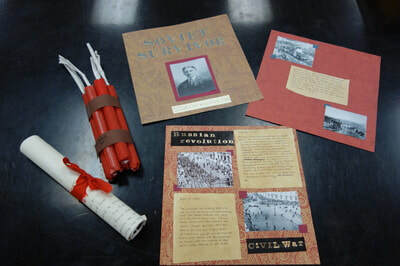 This project is about telling a strong story that draws on your own roots and culture, and is based on primary and secondary source evidence. 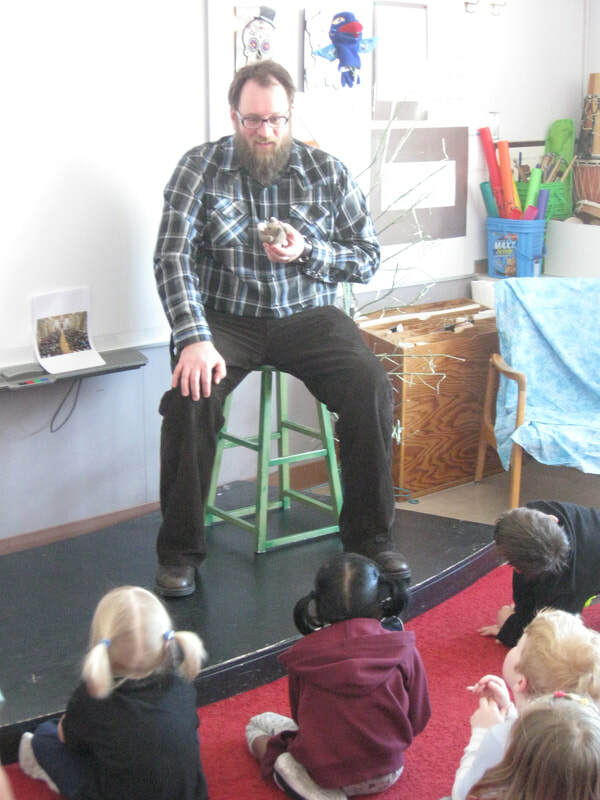 The Skookum Stories Project was the basis of a Governor General History Award for Excellence in Teaching given to Glen in 2017. Full project details and examples here: thielmann.ca/skookum-stories. In the student testomonial to the right, Bailey talks about what she got out of doing "Skookum Stories." Video used with student/parent permission. ​Not surprisingly, students completing this project gain skills at selection, assessment, and interpretation of source documents. What we didn't expect at first is that this project would creat ripples in our schools that extended for many years and across subject areas. The stories the students researched and shared became part of a larger narrative of who we were, where we came from, and how we should talk to each other. The biggest impact was on our Indigenous students for whom this project provided them with the safety and confidence to unpack difficult topics for others and establish their voice as learners, scholars, and storytellers. 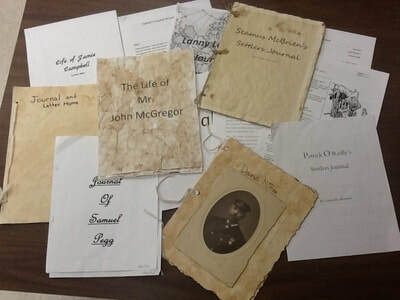 ​Students sometimes begin this project feeling that they have nothing interesting to say about their heritage. After digging around and doing some research, however, they almost always come up with something special. Often it is a simple connection to the past, an understanding of their ancestor's experience, or an awareness about how ordinary people were important in the many versions of the Canadian story that we tell ourselves. Along the way they get better at sorting out different kinds of evidence, and appreciate how history has both patterns and random fun bits (or sad bits) that all make a difference. One of my favourite things as a teacher is to hear back from former students who have kept following the stories they discover whilst doing heritage inquiry in high schools. ​Through these projects we've found about war heroes and criminals, farmers, railway workers, maids to royalty, inventors, trappers, engineers, musicians, and survivors. We learned all kinds of things about immigration, recent and ancient, and about internment camps, residential schools, and lumber camps. We've learned that the relationship between personal histories and accepted public histories are often very different and raise intriguing questions. 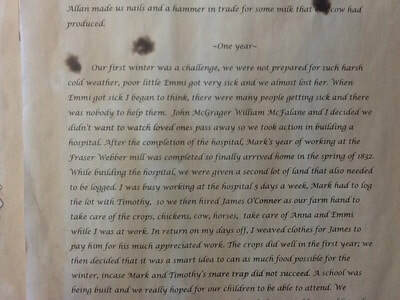 We've done so through photos, letters, records, keepsakes, oral history, recipe cards, books and websites. It has been inspiring to watch students gain confidence as amateur historians and expert storytellers. There is even a place for student and teacher inquiry to overlap. 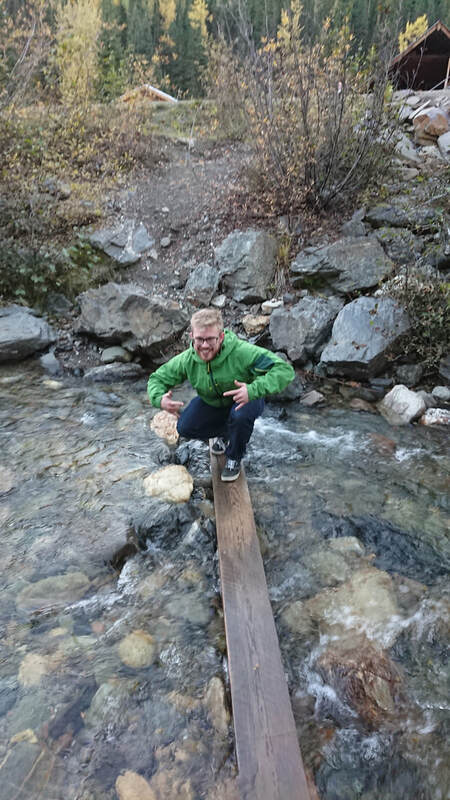 Check out this interview with Ian Leitch (big file / long download) about how one of his students inspired him to travel and research a topic of interest. ​We've even had some weird coincidences, too. 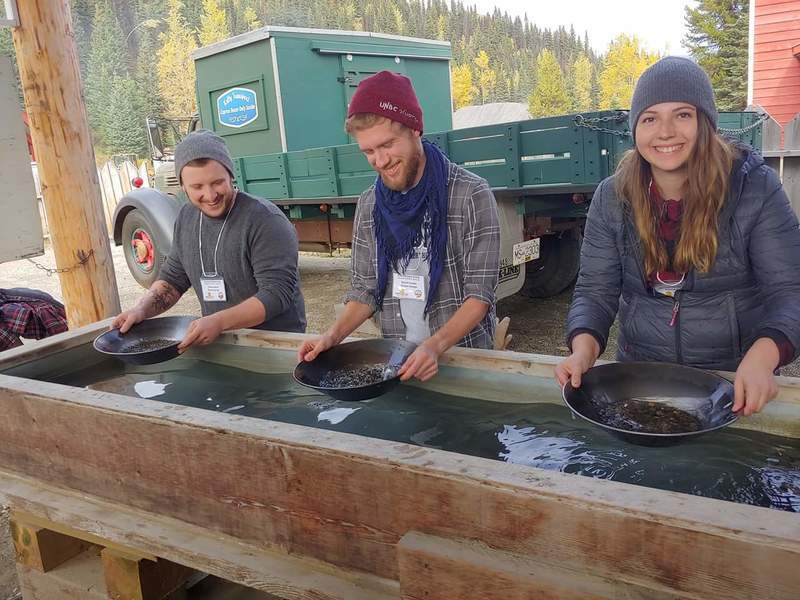 For example, two students found out that their ancestors shared a fur-trade canoe almost 250 years ago -- one was Peter Pond, a partner with the North West Company, and the other was a French-Canadian voyageur. Another coincidence was that research projects in separate years, two students whose lockers were beside each other had ancestors who fought together in WWI. Both forebears were medics, Frederick Kells and Frederick Banting. Kells saved the life of Banting on the front line -- Banting went on to discover insulin. The Echo Project is about exploring an aspect of 20th century Canadian history through a generational lens. 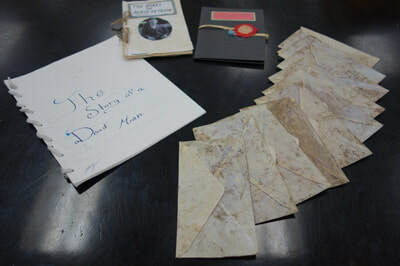 This is done by making a personal connection to the past through interviews and scouring intimate primary documents such as family journals, letters, and photographs as well as what students find with broader research. Students think critically about sources and patterns, develop historical empathy, and get creative with how they represent the past. 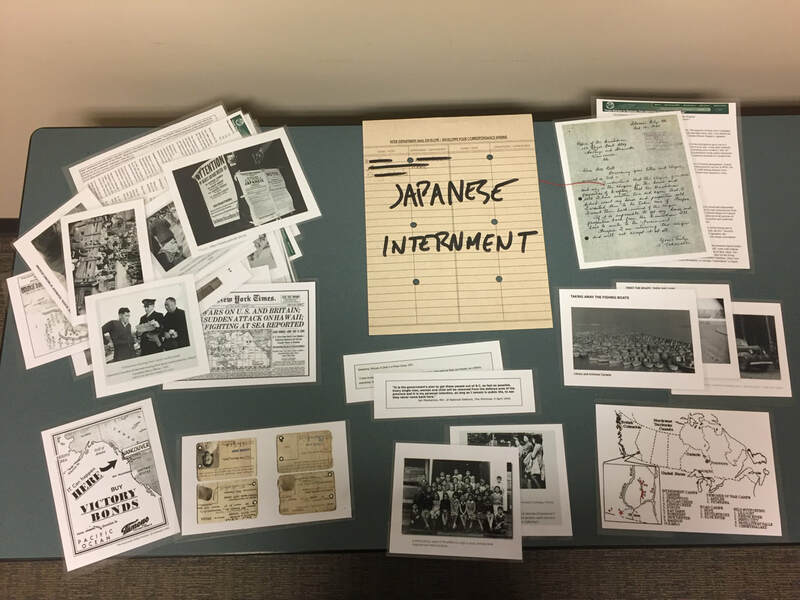 While many students choose topics related to the World War II era (our focus in 2015), they may discover they have ties to stories and events before or after the war such as the Great Depression of the 1930s or the Cold War of the 1950s and 60s. 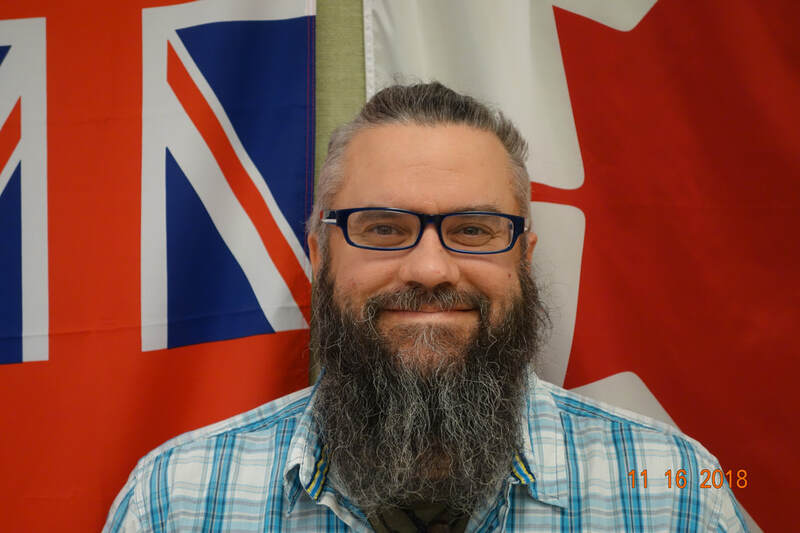 The Echo Project was the basis of a Government of Canada History Award in 2015 for Glen. Full project details and examples here: thielmann.ca/echo-project. ​Two detailed exemplars from this project, and highlights of others, are posted here: https://www.thielmann.ca/echo-project-examples.html. Video used with student/parent permission. 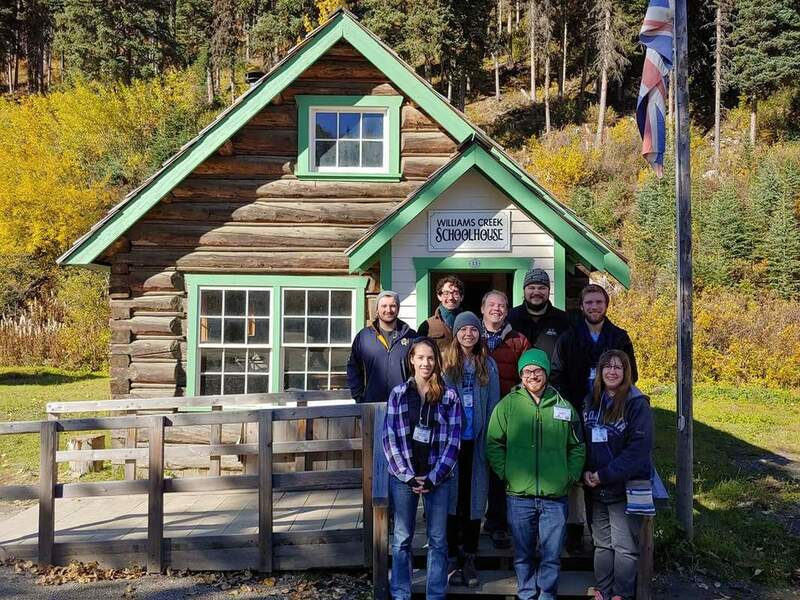 Students have taken what they have learned through the TTSP's various iterations of Heritage Inquiry Programs and applied it to real world problems. For our students that have connections to the Sixties Scoop and Aboriginal Residential Schools, their interviews and research have had a serious tone, filled with stories of grief but also hope for truth and reconciliation. The classes that have supported and witnessed the storytelling about these histories have been changed by this work. There is no going back, no excuses about "that was then this is now" when students make the connection between conditions in the past and issues in the present. 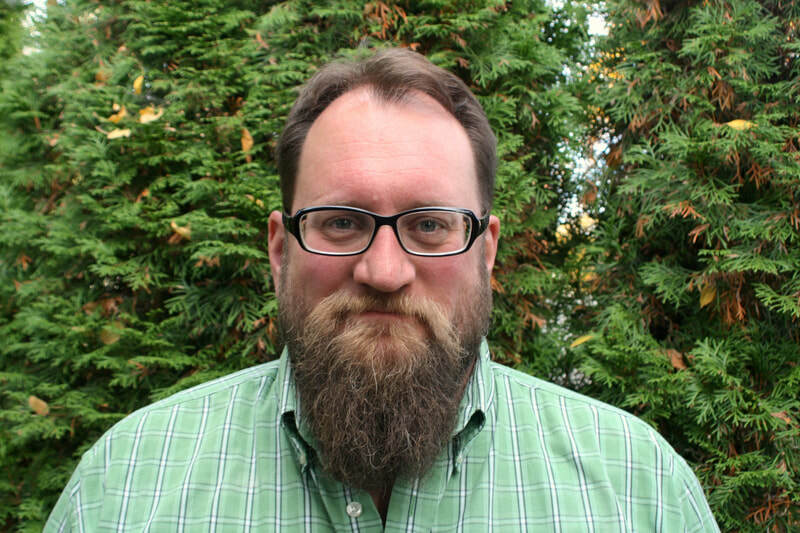 In 2013 Glen was given the green light in School District 57 (Prince George) to mess with some traditional courses and pursue a long-held dream: to teach concepts related to language and landscape through the writings and environs of J.R.R. Tolkien's Legendarium. Thus the Language and Landscape program was born. This ended up two courses rather than one. 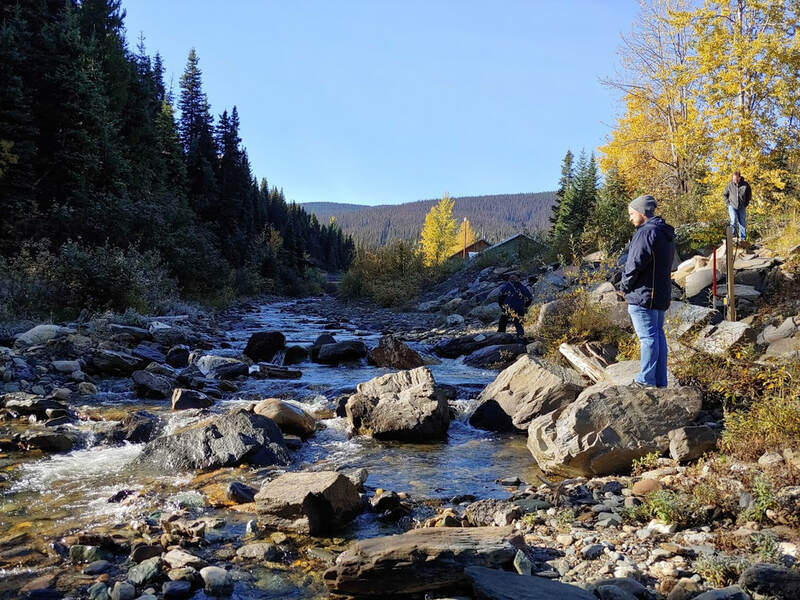 The first, focussing directly on language and landscape, was a full morning cohort that integrated literature and place-based studies to receive course credit for English 11 and Geography 12. This involved flex (independent) study, small-group student-led seminars, and bigger-group class teacher-led seminars in addition to the regular classes with all students present. We received a grant to cover our field trips, so learning outside the classroom was an important component. One of our forays was to take in "Cultural Expressions of the Lheidli T'enneh" -- a local exhibit on Dakelh history past and present. 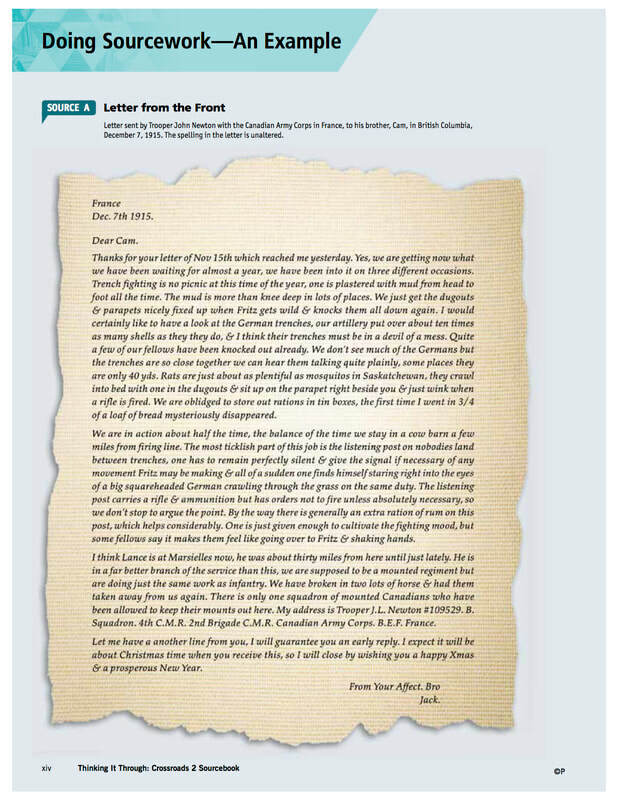 Here is a blog post about that, including student comments: http://landspeak.blogspot.com/2013/10/cultural-expressions-of-lheidli-tenneh.html. The second course was Middle Earth 12, a survey of Humanities topics through the lens of fantasy and sci-fi genres and landscapes. 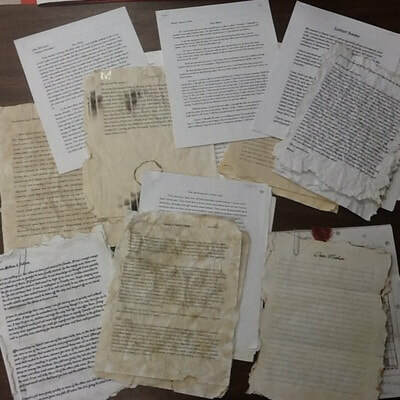 The teacher brought his case studies from Tolkien, and the students brought their examples from their own areas of interest, as much from gaming worlds as literary ones. This is an area of our TTSP project that Trina has almost all to herself, being a talented musician who regularly writes songs for and with her students. 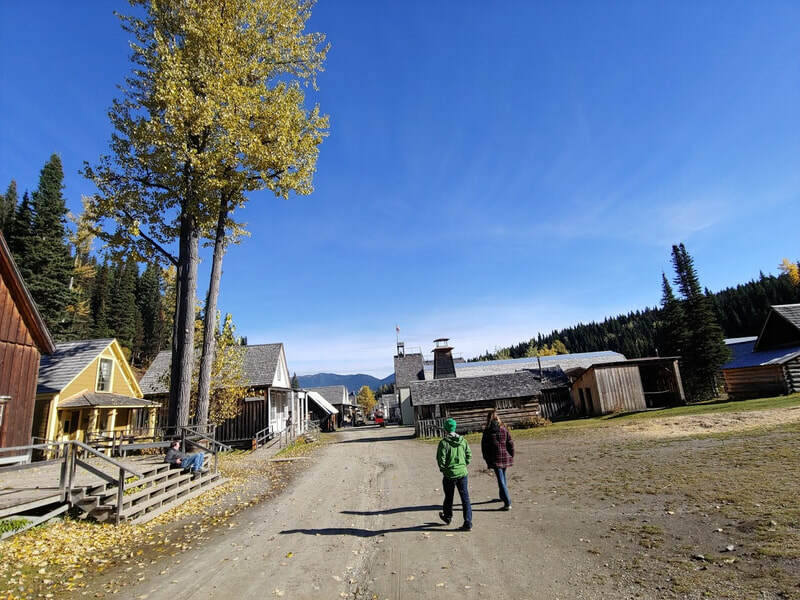 The other TTSP members are glad for it, because these gifts have been intertwined with the PIE Symposiums we've held in Barkerville in 2016 and 2018 (see below). ​Many of Trina's songs are about special places and towns (and the people who llive and work there) where the past and present have an uneasy relationship with each other. Among our favourites are her series of songs about stories (real and imagined) from the Wells/Barkerville area. She has posted some of these on her BandCamp site, for example, 2 A.M. in Wells. In 2012-2013, Trina co-wrote a song with her Grade 7 class about the school shooting at Sandy Hook Elementary in Newtown. The students had been upset about the event, and wanted to process what had happened. The song "Newtown" was a way for them to do that. 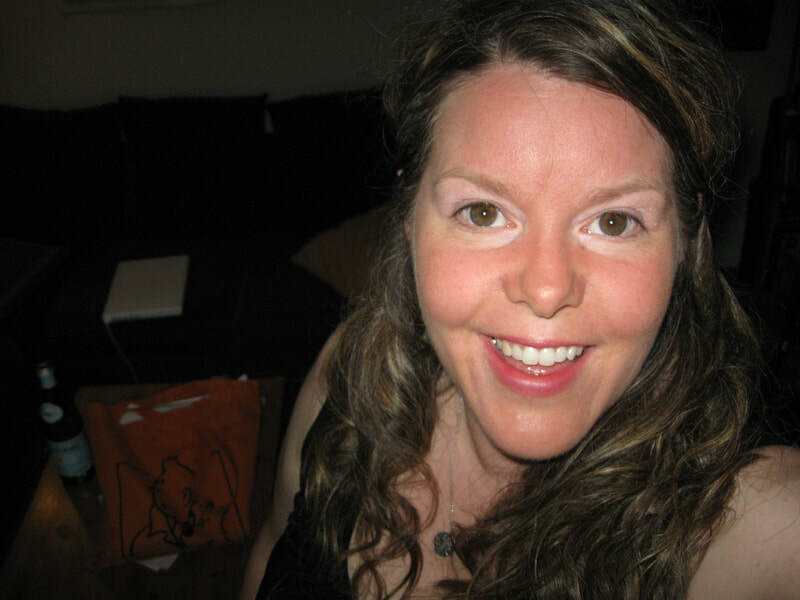 Many of Trina's other place and narrative based songs can be found on her BandCamp site. These are songs that reflect her journey as a storyteller, writer, and teacher, and are routinely shared with students and fellow teachers. ​We have worked on a number of initiatives related to PIE -- Place in Education. 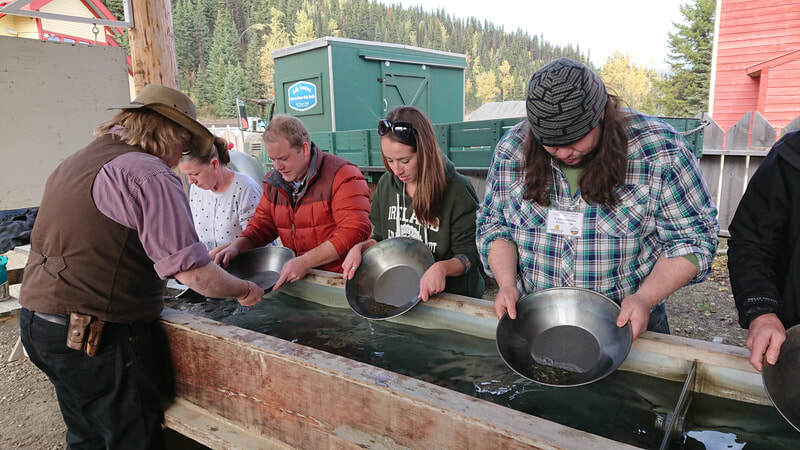 For us, the specific focus is about the use of outdoor learning spaces, weaving outdoor education with Social Studies, conducting Soundwalks, and showcasing all things place-responsive at our biennial Place in Education Symposium -- see our PIE website at http://goldrushed.ca. 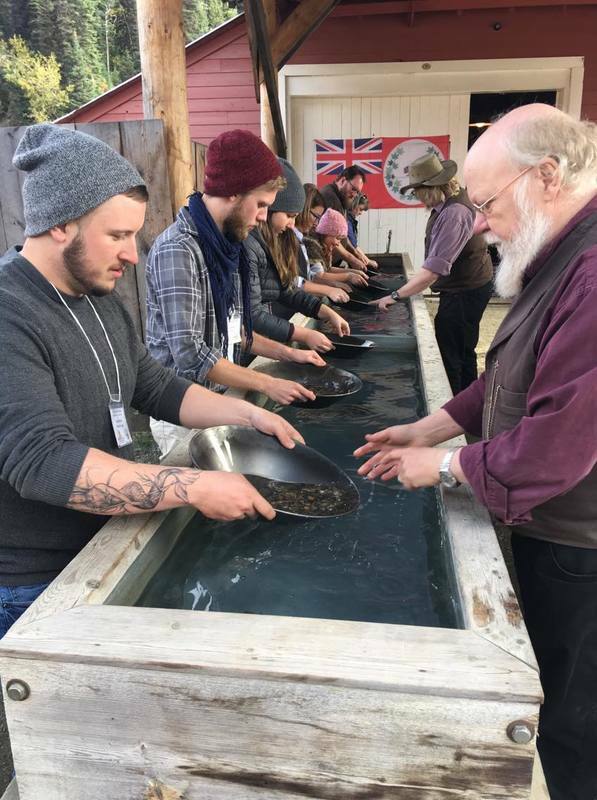 The Symposium is an educator field trip: hands-on activities in the town, archives, and environ: movement, music, drama, and in situ seminars related to history, ecology, and outdoor play for students. I loved every minute of the experience. The art workshop was so far out of my comfort zone, yet I appreciated the time to try and the instructor's calm method. The experience of being behind the scenes in the archives tour was wonderful because of the thought-provoking chatter about the artifacts, their place in history and the stories behind them. The film night was extraordinary with the pre and post talks from the people involved in the film. The soundscape walk set the tone for the whole time at Barkerville. The weather was perfect, the cemetery was delightfully scary, the food was excellent, especially Thursday night's charcuterie. The PIE Symposium was a fantastic opportunity to share the many ways in which location affects how we, as educators, present our curriculum and how we can permit ourselves to respect the places we live in. 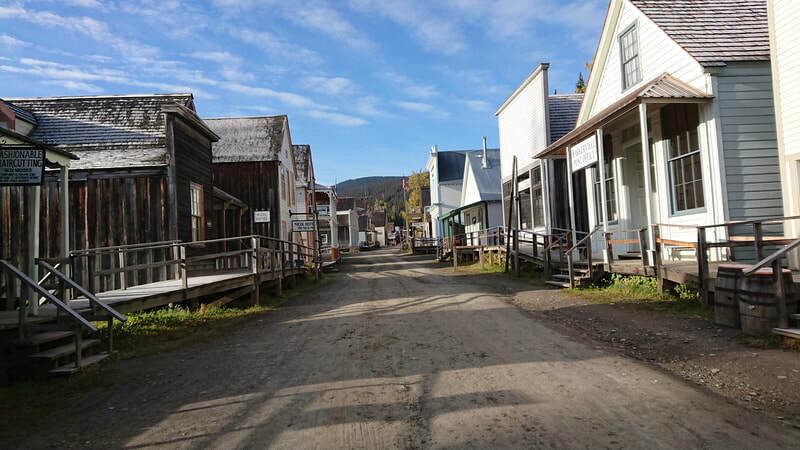 One of the anchor activities at the 2018 Symposium was a Soundwalk around the Barkerville historic town. The Soundwalk is an example of a differentiated learning activity on the sound-music spectrum, which is about providing multiple access points for students to experience music in all its forms. Trina provided a context (the work of R. Murray Schafer) and told us about how a Soundwalk is embodied inquiry technique, an orientation to a place, a way of becoming attuned to an environment of sights, sounds, smells, and movements. Participants move slowly through a soundscape without talking and listen deeply to the sounds they hear. ​Here is a statement by Trina about the process: ​Using visual thinking strategies borrowed from graphic design, my students are asked to solve sound problems, visually and by routine. I design exercises so students can make visible their ideas and perceptions about sound and the world. It encourages and challenges their imaginations from concrete or literal representation to symbolic and abstract representations. In this way, I can see and measure growth in creative thinking, students can use a variety of means to show and share what they experience, and maybe most importantly, students model creative expression and growth for one another. This process can be a powerful creative thinking scaffold in the learning space. Soundwalks and the debrief peer-modelling act like “listening scaffolds” for one another. Listening is an individual and unique experience and the act of listening as a group can be truly remarkable. 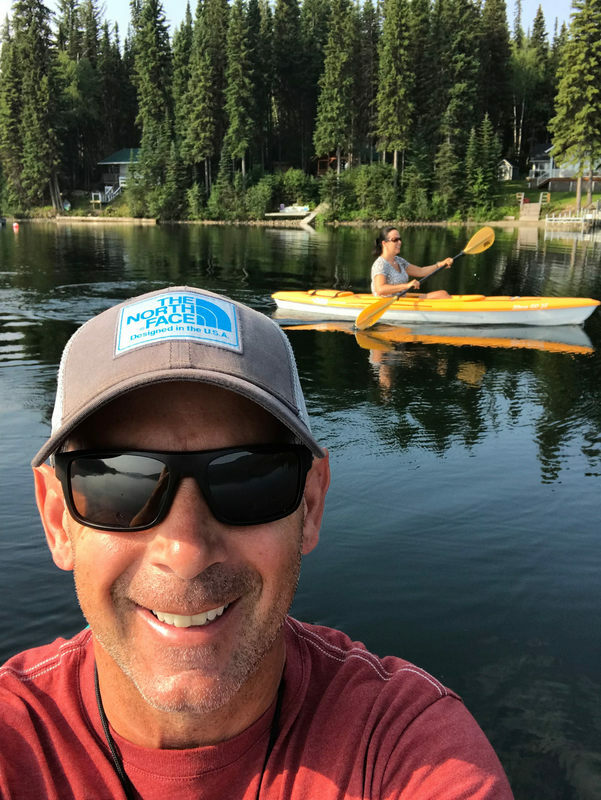 ​Many of Ian's contributions to the Pacific Slope and dialogue with TTSP members revolve around his ongoing efforts to integrate outdoor and experiential learning and identity-building curriculum with Social Studies and Outdoor Ed classes. This has translated into unique courses, such as a version of Social Studies 11 that centers on the Canoe in Canadian history, geography, and culture, with student learning about traditional ecological knowledge and experimenting with "pioneer" skills. 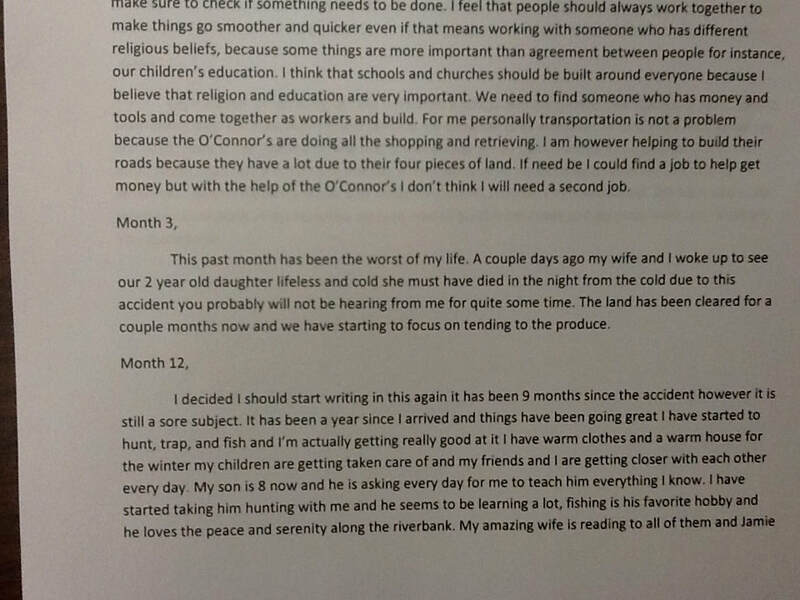 These course trials have led to powerful learning at his school. His wilderness expeditions are legendary, and have taught students about their own limits and strengths, and their capacity for inclusion. ​​In 2017, Ian invited Miranda, a remarkable student who lives with severe Cerebral Palsy and spends most of her day in a wheelchair, to join his Outdoor Ed class. With community resources, family and classmates' support, Miranda was able to participate, right up to setting out on a canoe expedition. On a second outing, Miranda had another first -- sitting by a fire and carving wood. 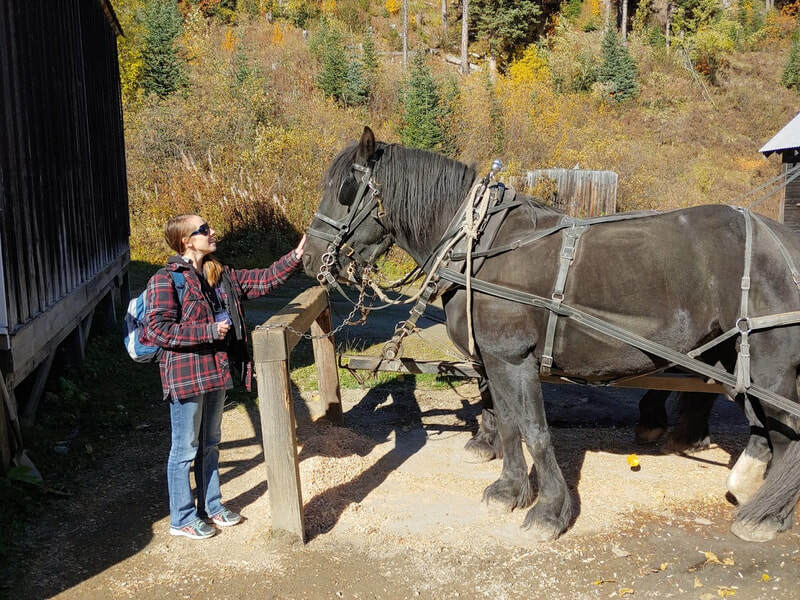 This class experience allowed her to act on her love of nature. Aidan, a young man living with challenging autism, was able to construct his own shelter and spend a – 20 degree winter night under the stars. He did so because the place was made safe for him by his teacher and classmates. One of the key learning outcomes for this course was how to co-design field excursions to involve every student. For Ian's class, inclusion is a team effort. ​When the TTSP members gather for our monthly breakfast meeting, or when the whole Pacific Slope Consortium gathers around a bonfire on a weekend retreat, we look forward to the next wild idea from Ian and anyone else who dares to dream. By the end of the meal, or fire, we've usually brainstormed enough schemas and safety plans to turn some of the dreams into plans. The TTSP members believe our collaborative model has momentum, and trust that our direction is taken from what we are learning from our students and ourselves. I follow your site from time to time, me being a newbie and you being an old timer it seems. I had understood that the gr 10 curriculum was more or less the old gr 11 and this is what I had planned on teaching this year, but looking at the new curriculum that came out in march 2018, it is rather different and so vague (to me!! )...what are you planning on doing for Gr 10s this year? (old gr 11 as in your course plans of 2018 and your comparative tables)...? Hi, I've been looking at PSC website over the last few days in search of new/newer approaches to planning and implementing the new SS curriculum. Been intrigued by your emphasis on primary sources and performance-based assessment. I printed your "Assignment: Assessing Significance of Vimy Ridge", in hopes of using it as somewhat of a template in creating other similar documents for other areas of the new Socials 10 and 11 curriculum. Hi there. I am teaching grade 9 Humanities this year and came across your amazing Socials 9 unit plan. How would you feel if I used this (altering it but giving you credit, of course) for my website? I have limited socials experience and it is so well organized! Feel free to send us a note if you want to read about how some of these questions were answered! BC Social Studies Teachers -- we've got your back. Last thing -- a shout out to John la Carré for inspiring the rhyme pun behind TTSP. "Teacher humour is good humour" said no one ever.